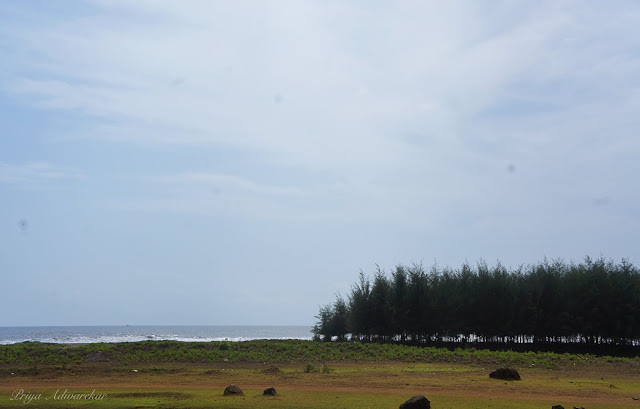 Ratnagiri - the land of Lord Parshurama. A beautiful district that houses scenic mountains and clean, virgin beaches. 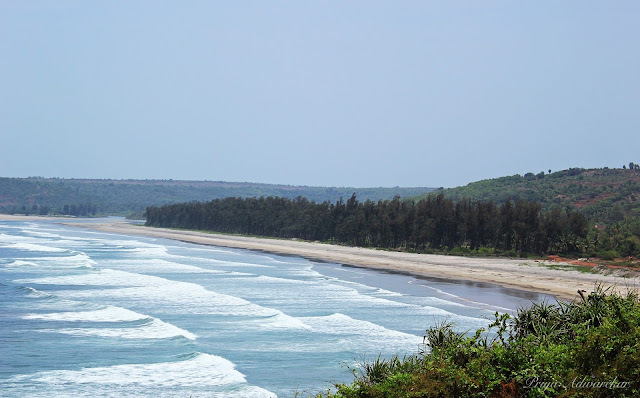 Situated on the Arabian coast, Ratnagiri is a part of the Konkan division; a place that has my heart (and soul). While most tourists and non-Maharashtrians think of Ratnagiri only when the Alphonso season arrives, there is more to this marvellous district than you could think of. Of late, several tourists have begun flocking to this district on long weekends, to soak in some sunshine and laze around on the virgin beaches (though, I secretly pray and hope they don't turn into another Calangute. Some tourists can certainly do with travel manners. Stop littering, please). As we celebrate World Tourism Day, I take this opportunity to talk about a district [and division of Mahahrashtra] that is close to my heart. 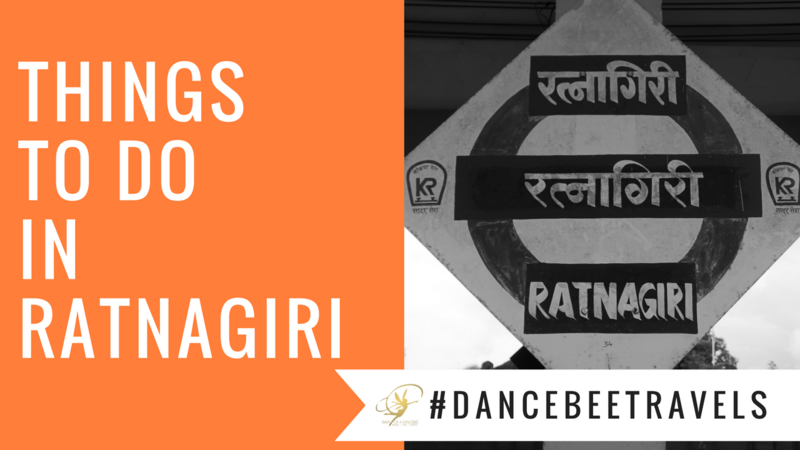 A two part Feature series and detailed guide, that will help you plan your next trip to Ratnagiri, with must visit areas and more. Well known for it's long coastline and quiet, calm ambience, Ratnagiri beaches are a far cry from the commercial beaches that you often get to see. 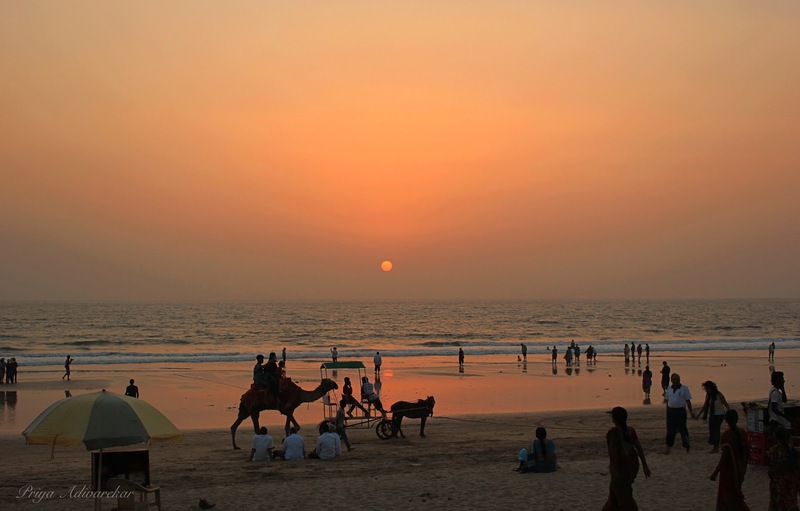 Take your pick from a variety of beaches including Bhatye, Ganpatipule, and the twin beaches - Aare, Ware. Bhatye: Hardly 2kms away from the main city. The sight of white sand on one side and tall trees on the other is enough to let your stressful mind attain some peach. Aare-Ware: For those who love scenic views, Aare-Ware is the place to be. Stunning view of the long coastline awaits, as you walk ahead. For photography lovers, drive along the Ganpatipule route and halt at the Aare-Ware junction on the top of the hill. Quench your thirst with a glass of home-made Kokam sarbat and click away. One end of the beach also houses some water sports facilities. Mandvi: For commercial beach lovers, the Mandvi or Kala Samudra beach is a must visit, complete with food stalls, rides and one of a kind black sand beach. Ratnagiri is home to some of the most popular and ancient temples. Spiritual tourists can dedicate an entire day to temple visits, and drive back feeling divine. Some of the most popular temples include the Mahakali temple at Adivare, Ganpati temple at Ganpatipule, the Pawas temple among others. Ratnagiri is also one of the rare districts in India that houses a temple dedicated to Lord Surya aka Sun. Mahakali temple, Adivare: One of the oldest and most popular temples in Ratnagiri, the Mahakali temple [home to Goddess Kali] is situated approximately 35kms away from the main city, in a village called Adivare. Hundreds of devotees visit the temple daily, while the numbers hit over a lakh during the Navratri festival. The main temple area also houses two separate sanctum sanatoriums for Goddess Saraswati and Goddess Laxmi. 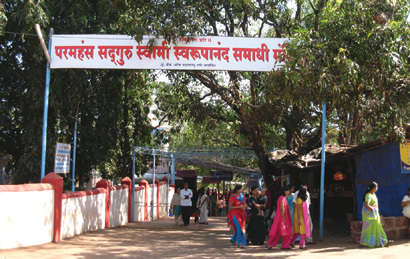 Several celebrities are known visit the temple during their work trip to Ratnagiri. 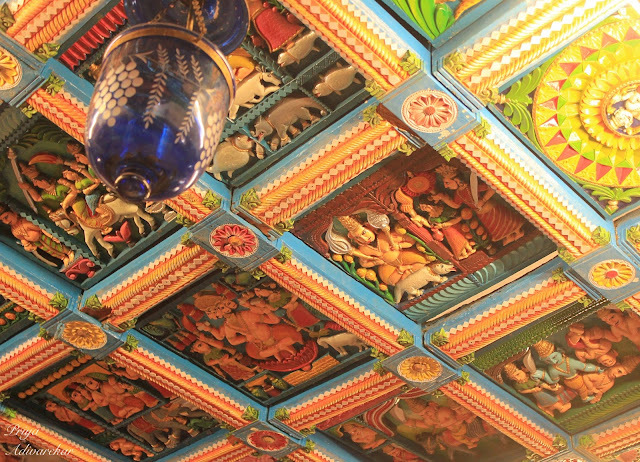 Insider Tip: Take a halt at the tea centre situated next to the temple. They serve some lip smacking Vada Pav, Spicy Kanda Bhaji and cutting chai. Kanikaditya Mandir, Kasheli: Situated in the Rajapur taluka of Ratnagiri district, in a small village named Kasheli; Kanikaditya temple is one of the very few temples in India that is dedicated to Lord Surya / Sun. Kasheli is approximately a 30km drive from Ratnagiri city. Like several temples in India, this too has an interesting story behind it and the locals are always eager to share mythological stories, facts and trivia with tourists. 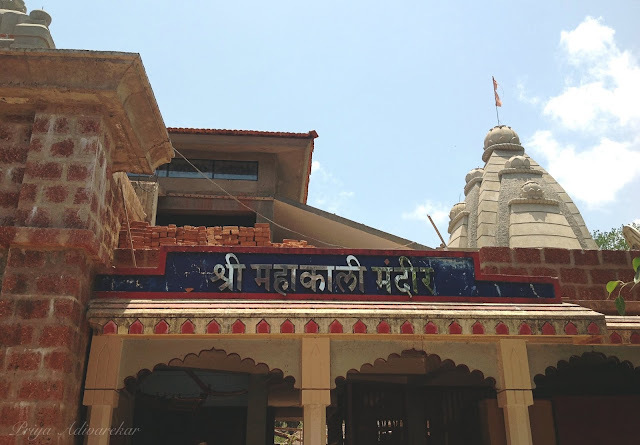 Swami Swaroopanand Temple, Pawas: A beautiful temple nestled in the quiet lanes of a village named Pawas, the Swami Swarupanand Temple is approximately 20kms away from Ratnagiri. 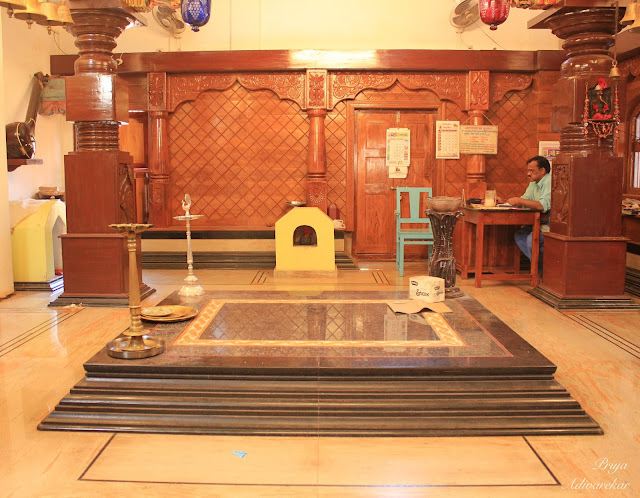 Located inside a well maintained complex, the temple houses Swami's samadhi, as well as a beautiful idol of Lord Vitthal and Rakhumai. Several copies of the popular holy text - Gnayeshwari, as kept inside the temple. It is said, that you can pick up a copy and randomly open any page. The verses on that particular page shall have the perfect answer to a misery, doubt or problem faced by you. I have personally done this on several occasions, and trust me, it has worked. This is no superstition, but a matter of pure faith. Also, Dnayeshwari in general is a wonderful book. The trust serves delicious Khichdi as part of their Mahaprasad during lunch hours, everyday. Insider Tip: Head to Vijay's opposite the temple complex, and stock up on your favourite Mango based food products. Ganpatipule: A destination that is slowly becoming a favourite among Maharashtra and Gujarat based tourists, Ganpatipule is a small village located on the Konkan coastline. The village is well known for it's popular, wish fulfilling Ganesha temple, which is located on a beach which goes by the same name. This temple faces the Arabian sea, and a coastline, which is breathtakingly beautiful. The Swayambhu (self originated) idol placed inside the sanctum sanatorium is 400 years old. 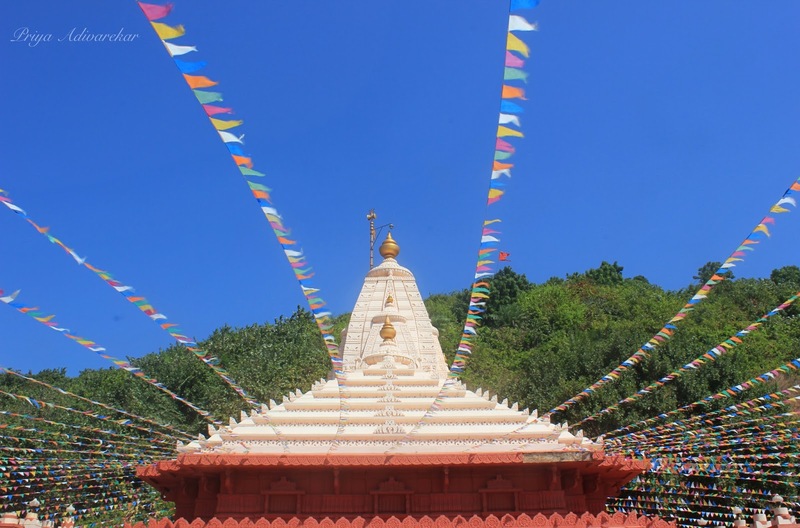 Instead of the usual temple pradiksahana, devotees perform a pradikshana via a special marg around the hill behind this temple. This distance of this marg is approximately one kilometre and the surroundings are absolutely beautiful. After a peaceful darshan at the temple, you can relax by the beach side. Sample some of the local Kanda Bhaji, Thalipeeth, or savour the never-ending fresh Coconut Water. With the popularity, the Ganpatipule beach has fast become a commercial area (at least, from what I have been noticing since the last decade). A sincere request to everyone though - please don't litter or leave the temple & beach premises dirty. Seeing the beach in a mess is such an eyesore! Insider Tip: If you are around during Lunch time, don't leave without savouring the Bhog prasad (post afternoon Aarti, till 2 pm). The khichdi and fresh mango pickle served here is to die for! That's it for this part of the feature! In the next part, we shall explore some exciting sight seeing destinations and also fill you in with complete details on stay, travel and the areas to sample local cuisines.